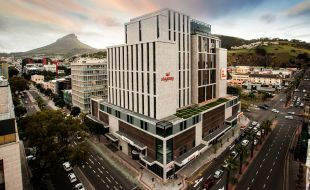 Chic interiors, legendary hospitality and a location in Cape Town’s hottest new City Bowl neighbourhood – that’s Tsogo Sun’s two new properties – SunSquare Cape Town City Bowl and StayEasy Cape Town City Bowl. 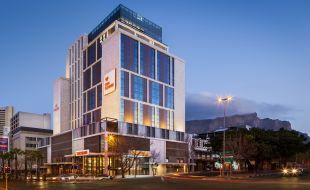 The location on the corner of Bree and Strand makes it easy for guests staying over to access the best of the city centre including some of the top Cape Town restaurants. Guests can choose to stay at SunSquare, known for its fresh and hip take on classic hospitality or StayEasy, the savvy choice for the budget conscious traveller looking for great value accommodation (plus a little extra on the house). For guests arriving by car, there is ample basement parking with direct access to the respective hotel lobbies. Guests from both hotels can meet up for a coffee or a meal at the in-house Vigour & Verve. There are also five conference venues located on the floor above the respective lobbies that accommodates up to 140 delegates and is accessible to hotel guests. Relax at the pool deck and 14 Stories Rooftop Bar, located on the 14th floor, and drink in the views of the Mother City.